Remember how, in the “old” days, folks would “call on” others and, if they weren’t at home, they’d leave their calling card behind? 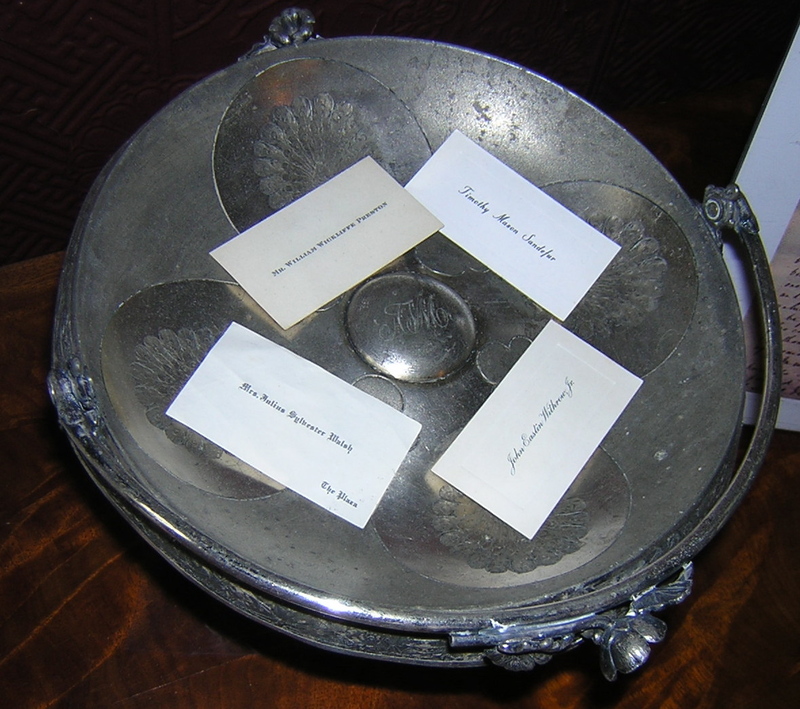 I haven’t been able to find an academic reference to it, but it makes sense that the modern-day practice of exchanging business cards stems from there. And even in this highly electronic day and age, there’s still room for business cards, as I’m sure you’ll agree. But are you maximizing the use of your most basic calling card? And that’s nothing more than your email signature. We all suffer from email overload – I’ve long since stopped counting how many emails I get in a day. Even when I’m not working or on vacation, I use my BlackBerry to delete unnecessary emails from my inbox, in an effort to keep on top of the traffic (sigh, it never stops!). But I also know that when I send an email out, it’s a unique way to remind others of what I do, particular affiliations I have and things that are important to me. You normally include your contact information in your e-signature, right? Why not include hyperlinks to all the relevant data you think people should have access to? For example, these could be your website, blog or Twitter handle. How about your Etsy site or another storefront? If it’s in your signature, it’s right there for the recipients to click through to, yet you’re not hitting them over the head with it. 2. Add a visual touch. 3. Put a shortening service to work for you. Granted, it’s not often that a woman is proclaiming her age for all and sundry to hear, but if you use short but sweet copy and a dedicated URL, it’s an easy way to add to your marketing mix with almost no effort. What other ways do you use your e-signature “real estate” to market yourself? Please share by leaving a comment below.